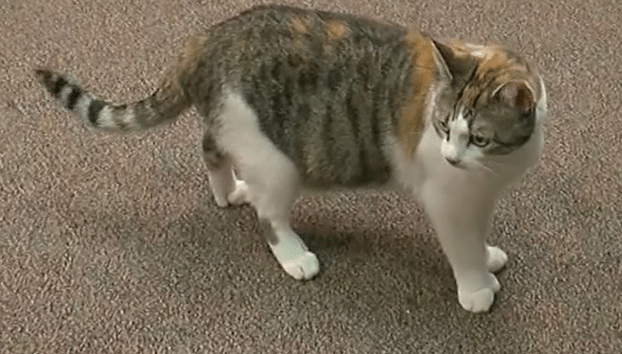 Most recently, a cat named Paws made headlines when she was named as a tying contender for a Guinness World Records title. 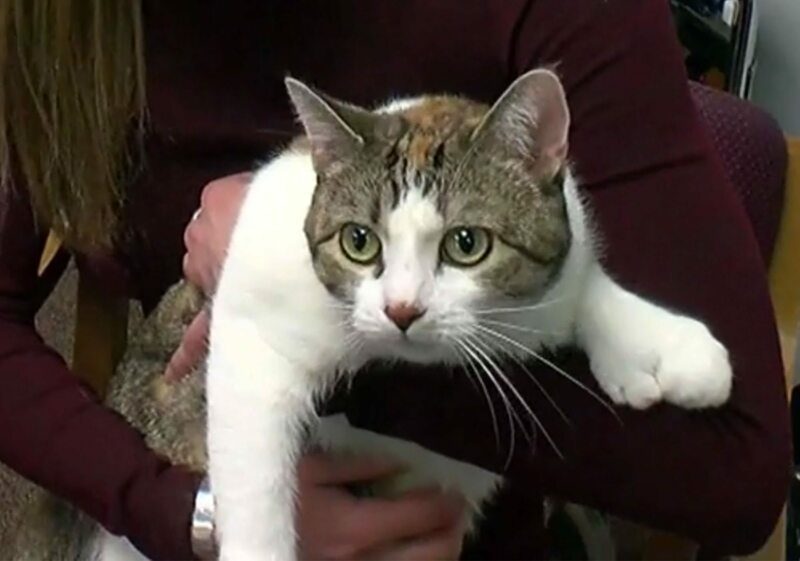 The affectionate kitty from Northfield, Minnesota, shocked cat lovers worldwide when her owners shared her photos online. Instead of the average 20 little toe beans, Paws boasts a whopping 28 toes— the exact same number as the current record holder. Paws was discovered by Walter Nichtigall; she was a homeless kitty that would roam the man’s his maple syrup farm near Cokato. “She used to love it when I used to have her sit on my lap and rub her belly,” he said in an interview with PEOPLE. 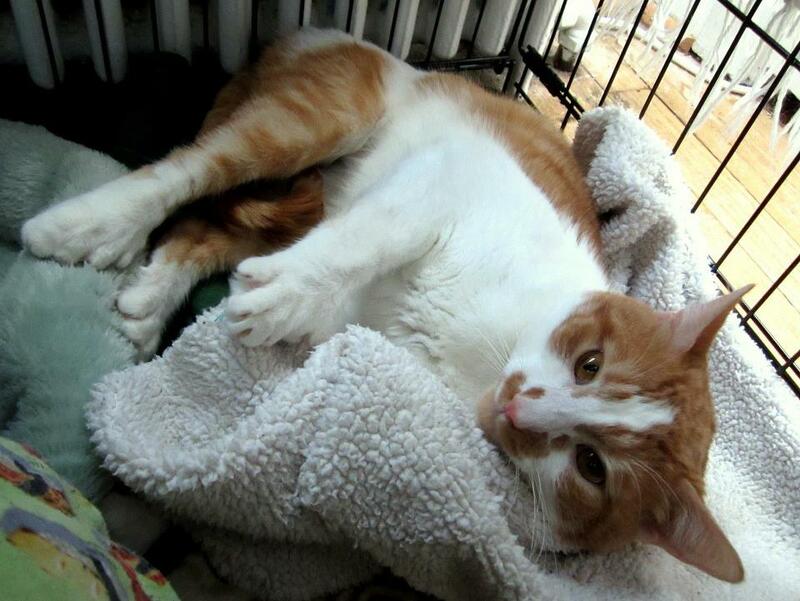 Walter found the kitty a loving home with his spouse’s mother, Jeanne Martin. When they took a closer look and realized she had 28(!) toe beans, they lovingly named her Paws. As mentioned, most kitties have 20 toes total between their four paws. But Paws has way more than 20, with 3 extra toes on both front paws, and one extra on each of the back. Paws’ extra toe beans are caused by a congenital condition called polydactyly, known to also affect humans and dogs. According to Mother Nature Network, polydactyly is a genetic mutation which is passed down through a dominant gene. Therefore, if one parent kitty has extra toes, there’s a 40-50% chance their kittens will have extras, as well. 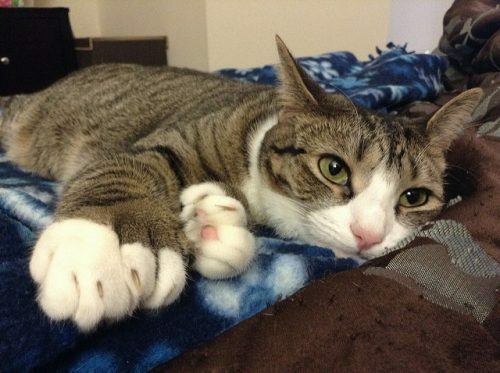 Polydactyly can be beneficial to a cat. In fact, throughout history sailors often opted for a polydactyl kitty, believing that they were good luck. 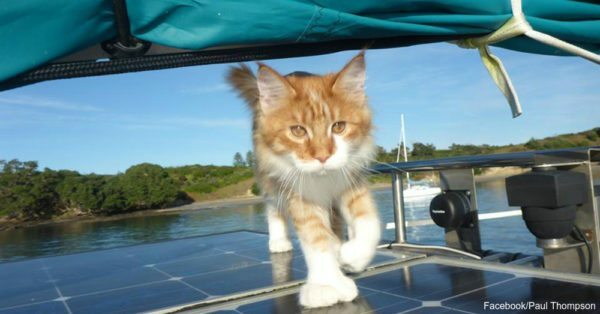 Additionally, they thought their large paws made them better mouse hunters and gave them extra balance on the open seas. 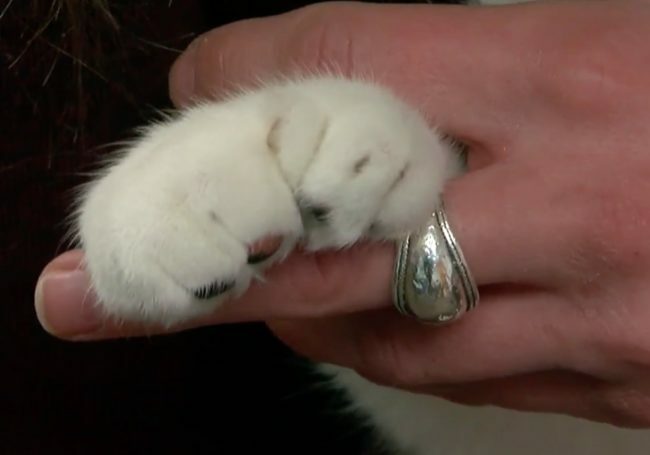 Jeanne Martin, Paws’ owner says her “catcher mitt” paws help her grip onto narrow surfaces— and now, it looks like a Guinness World Record title may just be one of them! 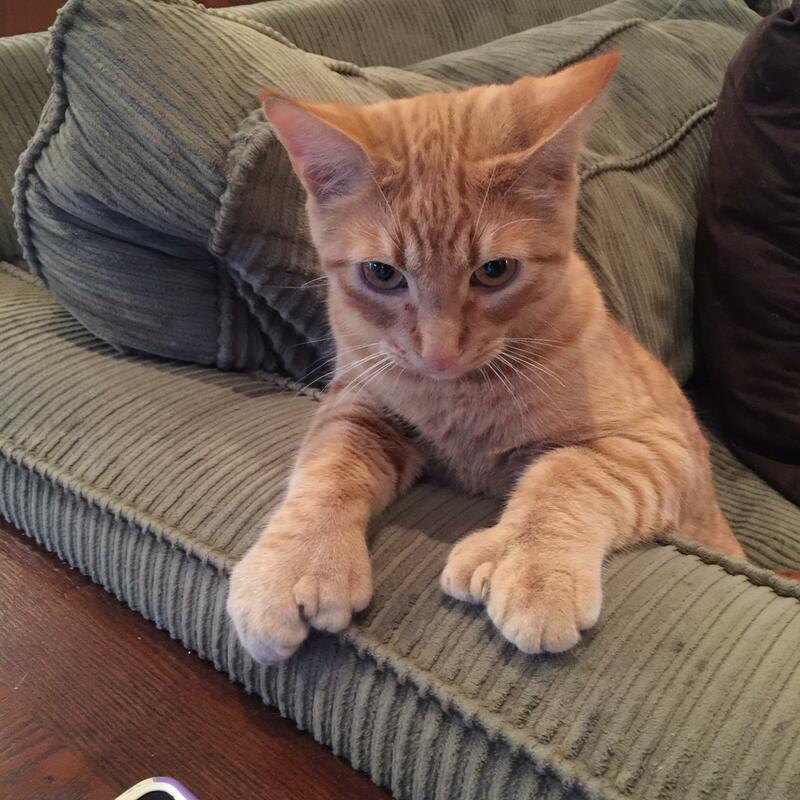 The current kitty record holder for the most number of toes is a ginger tabby cat named Jake from Bonfield, Ontario, Canada. He lives with his owners Michelle and Paul Contant and was named the record holder back in September of 2002. Here he is below. Nowadays, whenever Jeanne takes Paws to the groomer, she has to remind them to cut every nail. Lucky for her, they don’t charge extra! Congrats to Paws and Jeanne for the World Record tie! Britanie Leclair is a writer at Animal Channel.